Regularly trained installers; with up-to-date knowledge of new improvements to the Glow-worm ranges. Direct product support from the manufacturer; due to the fact that we have a direct link to customer support. We complete the guarantee application for you for extended guarantees; starting at 5 year free of charge and up to 15 years on selected boilers at a discounted rate. 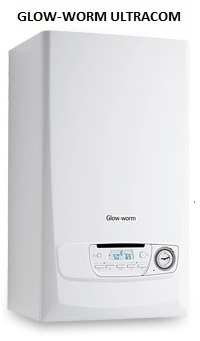 We fit all Domestic Gas Fired Boilers within Glow-worm’s range of High Efficiency combi, regular heat-only and system boilers; which can help our customer’s improve their household central heating efficiency. In particular we focus on the Glow-worm Flexicom and Ultracom ranges; which have the following basic distinctions. 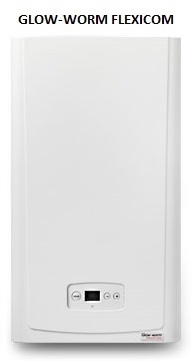 The Flexicom is not as large as the Ultracom in size, and it has the option of being installed with a direct rear flue. This allows it to fit inside standard kitchen wall units; which makes it perfect for small flats and houses where space is at a premium. They share the same build quality and high efficiency; but the Ultracom built-in controls have greater functionality and come to a higher specification. We install the Flexicom and Ultracom range with a free 5 year parts and labour warranty; compared to 2 years as standard. Both ranges come in the following types of boiler.